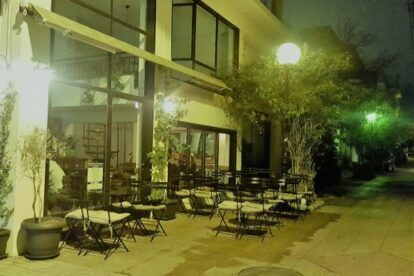 Rafiki is located in a cute pedestrian street at the soon-to-be-hot area of Votanikos, one of the oldest neighborhoods of Athens. Rafiki is created by two young cooks. It offers the experience of a new age kafeneio: few but very well cooked dishes of mezedes, created with local ingredients. Combine the baby potato dish, the pastourma little pies or the chicken “strir fry” (my favorites) with ouzo or tsipouro and you have the new age kafeneio experience! Rafiki is an excellent choice for a lunch after a long walk in the nearby area of Kerameikos. The guys in Rafiki often organize music nights (or days) with different Greek musicians. Visit their FB page to find out when the music is on and enjoy a music kafeneio in action!